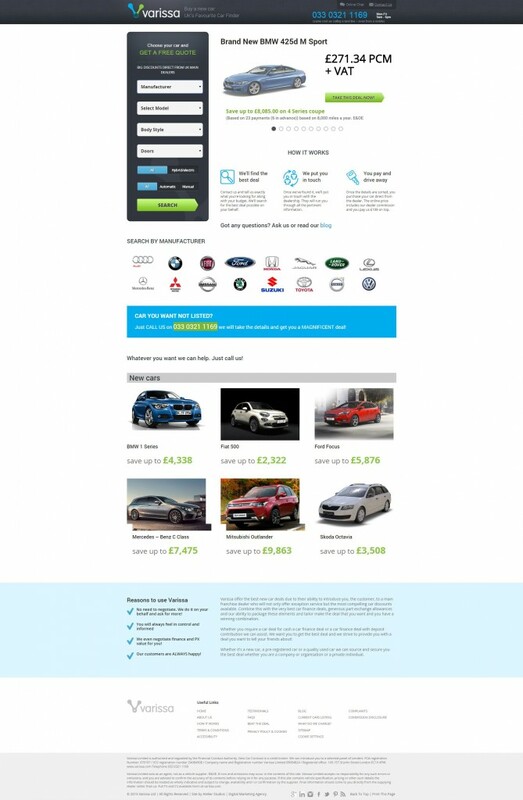 Varissa helps car buyers in the UK get the best possible deal when purchasing the car they want, without the hassle of dealing with a dealership. 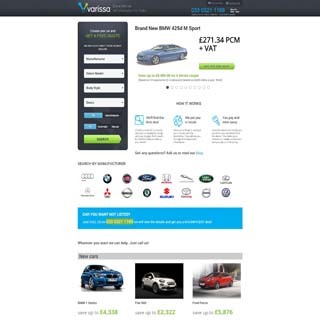 They operate exclusively online and rely on recommendation for the majority of their business. 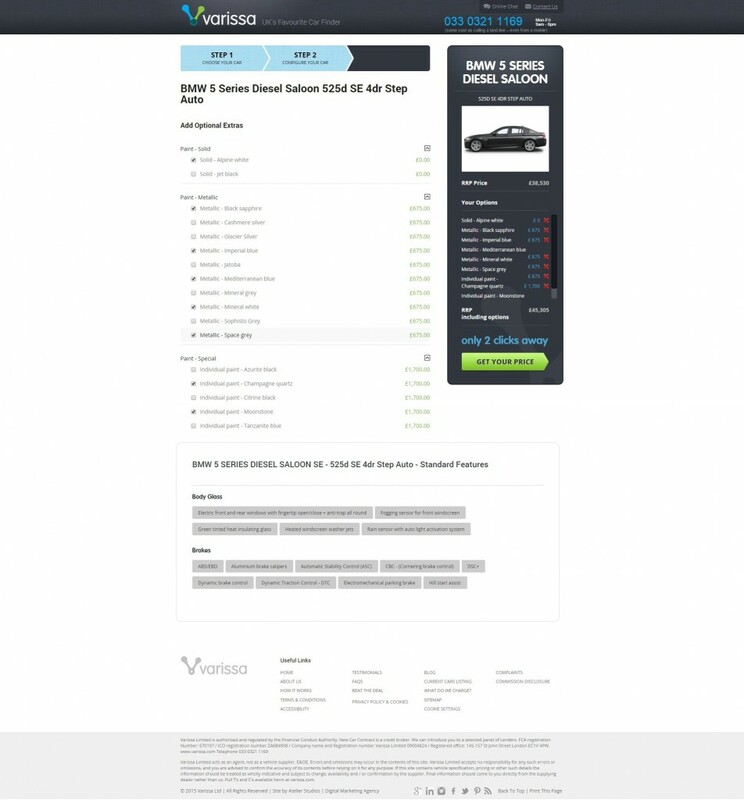 Their customers use a configurator tool to â€œbuildâ€ a car with the desired specifications, after which they get a price for that particular configuration, all in less than 2 minutes. 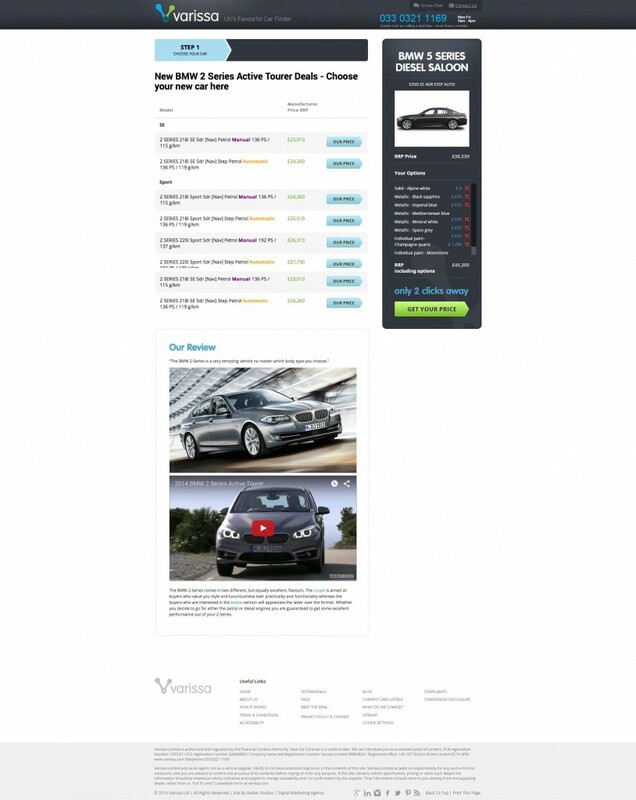 Varissa intermediates the transaction, obtaining a considerable discount from the automotive manufacturer in favour of the end customer and they also arrange for the car to be delivered to their customerâ€™s home or workplace. We were recommended to them by another client and they contacted us with the initial request to upgrade the websiteâ€™s functionality and implement the new data base. After we started working on the project, we also covered additional requests, like changing the pagesâ€™ routes to optimize their website for search engines and eventually re-designing the website to make it more visually appealing. The team had daily meetings with the client, to get feedback frequently and meet their tight deadlines with results theyâ€™d be 100% satisfied with. Over the course of the project, our team successfully overcame challenges, by improving the clientâ€™s outdated content management system and by developing a custom tool to optimize the data import from their new database. After the development phase, weâ€™ve continued to collaborate with Varissa by providing maintenance and support when they need it.